Using the .NET, RDC or CRPE components in Crystal Reports? The Crystal Reports 9 Advanced licensing model is now simpler and more cost-effective. With the .NET, RDC and CRPE components in Crystal Reports 9 Advanced Edition, you can create and deploy as many server or web applications as you want. Each of these applications can contain a single instance of a Crystal Reports component* and can be deployed on a single server with one or multiple CPUs. To install applications that use multiple instances of the Crystal Reports component on a server or across multiple servers, the Web Farm/Web Garden License is available. Developers who want to deploy server or web applications that use the Crystal Reports 9 .NET, RDC or CRPE components in a web farm or web garden can add on a new, cost-effective license. This new Web Farm/Web Garden License, available for only $5,000 US per processor, enables you to deploy multiple instances of these components on a single server or across multiple servers. The Crystal Reports 9 .NET, RDC and CRPE components are designed to support peaks in user loads so end users are not rejected. As user load increases, the amount of time required to process a request will slowly increase. For improved performance, developers can purchase a Web Farm/Web Garden License. Developers who purchase and register Crystal Reports 9 Advanced Edition will be extended the right to use Crystal Reports as part of an automated, static Report Distribution System (Crystal Reports 9 Broadcast License) at no additional charge. * A single instance of the Crystal Reports component supports three simultaneous requests to the server. Additional requests are queued. The above licensing applies to use of the .NET, RDC and CRPE components only. Licensing for the Report Application Server included in Crystal Reports has not changed except for the right to broadcast static reports as part of automated solution. This right applies to the .NET, RDC and CRPE reporting components as well as the Report Application Server. 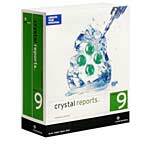 The above changes apply to all customers who have purchased and registered Crystal Reports 9 Advanced Edition.